Wow! What a nice article about our company, American Retroworks Inc., in this post by Sramana Mitra of Forbes (author of Entrepreneur Journeys)! 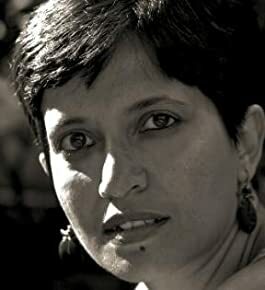 She is the author of VisionIndia2020, and Volumes 1-3 of Entrepreneur Journeys (I haven't read, but love the title of her latest work, "Bootstrapping: Weapon of Mass Reconstruction"). We are very proud that a writer who is both an expert on technology and an expert in international development would focus such a major piece on our small Middlebury, Vermont, "e-scrap" company. Sramana Mitra is a technology entrepreneur and strategy consultant in Silicon Valley. She has founded three companies and writes a business blog, Sramana Mitra on Strategy at www.sramanamitra.com and is a columnist for Forbes. Sramana has a master's degree in electrical engineering and computer science from the Massachusetts Institute of Technology. Her first two books, Entrepreneur Journeys (Volume One) and Bootstrapping, Weapon Of Mass Reconstruction (EJ2), are available on Amazon. PART II: Are E-Scrap Exports "Good" or "Bad"